The Trump budget for the federal government would be a huge step back from investment in medical research with consequences for many years in progress on promoting health and fighting disease. The budget announcement, tilted so far toward guns over butter, proved so challenging to even members of Trump’s own controlling party that lawmakers hastened to underscore that Congress, and not the chief executive, theoretically, holds the nation’s purse strings. The president would boost allocations for the military by more than $50 billion, and significantly increase spending for homeland security, with billions for his proposed border wall as well as more customs and immigration agents nationwide. He would gut almost 80 federal programs, providing support for everything from the arts and public broadcasting to home weatherization, rural economic development, legal services for the poor, and meals on wheels food services for the old and sick. 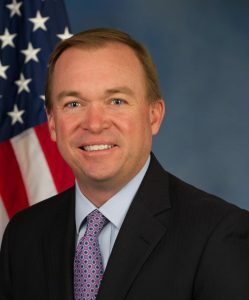 His plan, as outlined by John “Mick” Mulvaney, director of the federal Office of Management and Budget, gouges the State Department, as well as the Environmental Protection Agency, and the Health and Human Services Department. Dramatic cuts proposed for programs within those last two agencies caused the scientific community to “bristle,” and observers to say that Trump is seeking a “seismic” disruption in medical-scientific research. The National Institutes of Health, the world’s largest funder of medical research, would be hit with a 20 percent Trump-ordered spending cut. That reduction, combined with HHS cuts, will imperil medical education, as well as myriad studies to battle cancer, heart woes, infectious diseases, and other chronic and deadly maladies, experts say. NIH and the medical-scientific research community it supports recently had been celebrating an anticipated funding boost— after years of budget hold-downs and cuts—with the recent passage of the 21st Century Cures Act. It was supposed to increase funding for NIH and other health-related agencies by billions, with initiatives targeted against cancer and Alzheimer’s and more aid for genetic research and personalized care, as well as mental health and the battle against the opioid drug abuse epidemic. The act also was supposed to support costs to reform the federal Food and Drug Administration, with critics questioning whether Big Pharma and medical device makers got too much leeway in that new legislation. Trump’s budget proposal didn’t say much about the FDA, though the administration has announced it wants to double industry fees for regulatory reviews of drugs and medical devices. Experts already also were concerned about trends in health care funding when word emerged about a planned billion-dollar hit to public health and preventive care programs run by and through the federal Centers for Disease Control and Prevention. They’re now deeply worried about the thoughtless elimination of small programs to allow a swift, nimble detection of rapidly spreading infectious diseases—from new scourges like Zika and Ebola to familiar maladies like measles and mumps—and to monitor and safeguard the globe against fast-spreading viral woes. With the Agriculture Department also suffering budget blows along with the EPA and HHS, Americans may see detrimental effects not just direct medical services and care but also in the range of programs that measurably affect their health. These include efforts to clean up and maintain the quality of the air they breathe and the water they drink but also the safety, nutrition, and wholesomeness of the food they eat. Advocates for evidence-based public policy, of course, have worried about or been aghast by Republicans ideological assaults on facts and science, including in the Trump Administration, with crazy statements and actions on issues like climate change or vaccinations. As I’ve written, America’s leaders need to do all they can to protect the country and secure its borders. But they can’t be penny wise and pound foolish. Would it be too much to ask GOP leaders why it makes sense to spend $1 trillion on a fighter jet with few fans, while slashing an array of effective health or preventive care programs? Must a top Administration official, while assailing the effectiveness of some federal block grants, also seem to attack the benefit of bringing basic nutrition (food) to the elderly poor? Do the partisans in their near-fanatical, ideological budget burning not see the harms they will inflict on their own constituents, especially the rural poor? Health care, with more than $3 trillion in spending, comprises 17.5 percent of the U.S. gross domestic product. But for as richly as we support this sector, Americans see the poorest outcomes, including longevity, among industrialized nations. New research indicates that patients with cystic fibrosis, a serious medical condition, live a decade longer than similarly afflicted Americans—partly due to the greater access to more affordable care available to our neighbors to the north. Recent studies out of the RAND Corporation, the noted policy think tank, indicate that a spectrum of programs—the social safety net that Americans once so prized—plays a critical role in our health and wellbeing, maybe even more so than what we spend on hospitals and medical services. In my practice, I see the major harms that patients can suffer while seeking medical services and their need for justice in the civil system, as well as the long-term services and support they may need. This helps remind me of what I’ve said often: Real advances in medical and scientific research and care take a long time. They can be painfully slow and costly. They deserve steady, smart funding and support over long periods, not the chaotic bursts that have seemed to characterize the early perhaps largely meaningless but troubling conduct of this administration. That’s why we need to scrutinize and steer better the partisans’ pell-mell circus of funding and activity in health, science, and medicine.